Before buying a blender, health-minded individuals usually take to the Internet to look for product reviews. The positive opinion of other consumers is something that will steer a customer toward one product or another. 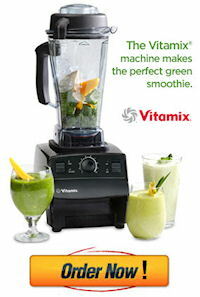 It is been noted that the vitamix s30 reviews seen online have been not just positive, but overwhelmingly glowing. People who tried the vitamix s30 personal blender find it exceeds their expectations and is a product with the potential to provide a myriad of nutritional foods and beverages. 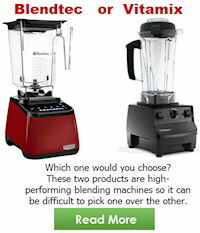 Vitamix s30 and s55 – What’s the Difference Between These Personal Blenders? The only key feature that is different between these two blenders are the four pre-programmed cycles on the Vitamix s55 personal blender. All the rest of the features are exactly the same. With the Vitamix s55 pre-programmed settings you can simply position the dial to one of the four settings and have the blender run its cycle and shut off automatically after it’s done blending your favorite smoothies, salsa, hot dips, or frozen fruit snacks. 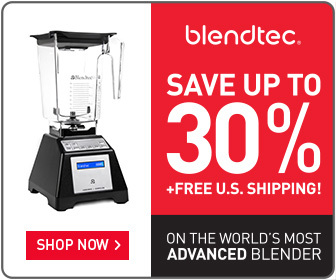 What makes the s30 vitamix and s55 special is both are personal blenders that deliver highly professional results. While these blenders has the ability to work like those in a health food store or cafe, their compact size allows them to fit comfortably on a modest-sized kitchen counter. Both the vitamix s30 and s55 come equipped with two sizes of containers. The 40 ounce container is for making larger batches of healthy drinks and meals. While the 20 ounce container is just the right size for one nutritious serving on-the-go! These make it convenient for blended drinks to accompany anyone on the go. Every s30 and s55 vitamix review makes a point of discussing how this one blender is used for breakfast, lunch, dinner and nutritious snacks. Whether one is interested in a family-sized portion or a single serving, there is a container that meets their needs. Additionally impressive is the fact that each container is manufactured from BPA-free plastic and is doubly insulated to maintain perfect food temperatures. 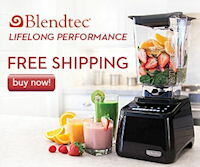 The excellence in engineering found in this personal blender is mentioned in nearly every vitamix s30 and s55 review. Consumers find it easy to work with the blade base and its interchangeable blades. This base remains tight during the blending process, while easily attaching to whatever container the user chooses to work with. The motor is powerful enough to crush ice, yet gentle enough to work with homegrown fruits and vegetables. Reassuring consumers further is the fact that every one of these blenders comes with a full five-year warranty covering both the blender and all of its components. If needed, an additional 3 year warranty can be purchased for and extra $75 giving you eight full years of complete coverage. 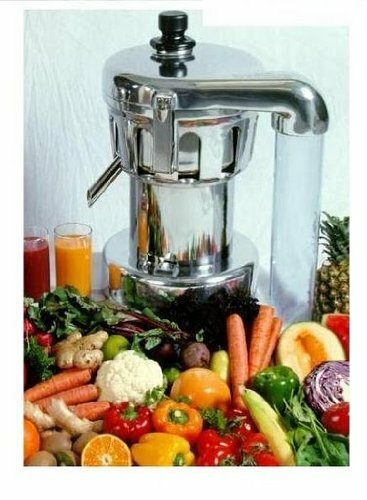 Consumers thoroughly liked using a personal blender that combined traditional juicing methods with today’s engineering prowess. This gave both experienced and novice chefs much more control in the kitchen. Cooks felt they could not only control the speed of this blender, but also the texture of foods. After repeated usage, the blender blades were able to produce the same precision cutting action without ever becoming dull. Home chefs wasted no time in extolling the multiple speed levels they were able to generate with this personal blender. Much of this had to do with the rotating blades and the “Variable Speed Control” feature that offered ten different speeds. Consumers felt the speed buttons were highly responsive to the touch, allowing them to quickly change speeds as they saw fit. With higher speeds, users were able to produce smoothies and thoroughly blended drinks, like shakes. By working with the slower speed options, they were able to chop larger items to produce chunkier foods like homemade salsa. This blender is even capable of making homemade tomato vinaigrette. Another great feature associated with these blenders is the pulse control option. This feature can be used once users have selected speed number five. By repeatedly flipping the pulse switch back and forth, ingredients can chop faster and still have added texture. Shakes and smoothies that need refreshing can be blended at alternative speeds. Cleaning the s30 personal blender and s55 Vitamix is something all reviewers made a point of mentioning. The containers, blades, seals, and lids all are made to fit the top rack of an average dishwasher. Both plastic and metal components are absolutely dishwasher safe. Users need only take apart the blender before placing it in the top rack to get each piece completely clean. What gave consumers confidence was the Vitamix name. This company is well known for its engineering and product capabilities. Customers often used other products from their consumer line and looked forward to the appearance of this blender on the market. Having a full warranty for the blender and all of its parts was the determining factor in getting an additional one for a gift for one client. The blenders allows users to make everything from smoothies to homemade soups. With the containers, home foods could easily be taken from the house to school, work, or the gym. Can the Vitamix S30 or S55 Personal Blender help you lose weight? Are you frustrated with your flabby belly and tight jeans? Are you tired of looking in the mirror and wishing you can lose 10 extra pounds off your waist? Or perhaps, do you feel sluggish with low or no energy and getting out of bed is a chore? Are you ready to end these problematic dilemmas you face everyday? Right now, at this exact moment you can take back those years of life you are throwing away because you’re not giving your body the proper nutrition it needs? Make the best choice you can do for yourself today! Supercharge your body by getting yourself one of these Vitamix S30 or the Vitamix S55 blenders right now. Don’t put it off anymore. Give your body what it’s craving for. Proper Nutrition!